Since 1991, Joseph T. Burke has successfully represented and counseled individuals who have suffered personal injuries arising out of negligent conduct; defendants charged with DUI/OVI offenses; and individuals and small business in all aspects of civil litigation. With an education that began at St. Ignatius and led him to obtain a J.D. at Case Western Reserve University School of Law and an M.B.A. through Cleveland State University, Joseph T. Burke has had the opportunity to clerk for the Honorable William K. Thomas of the U.S. District Court for the Northern District of Ohio, the Honorable Ann McManamon of the Eighth District Court of Appeals and for Justice Paula A. Nakayama of the Supreme Court of Hawaii. Joseph T. Burke is a certified arbitrator for the Better Business Bureau and has previously served as General Counsel to a transportation company. Previously, Joseph T. Burke was associated with two law firms concentrating in personal injury and general civil litigation. Joseph T. Burke commonly represents clients in the Common Pleas Courts located in Cuyahoga County, Lorain County, Medina County, as well as local municipal courts including Rocky River Municipal Court, Lakewood Municipal Court, Cleveland Municipal Court, Berea Municipal Court, Elyria Municipal Court, Avon Lake Municipal Court, Lorain Municipal Court, Garfield Heights Municipal Court, Bedford Heights Municipal Court, Shaker Heights Municipal Court as well as North Ridgeville Mayor’s Court, Sheffield Lake Mayor’s Court, Sheffield Village Mayor’s Court and Independence Mayor’s Court. He would be honored to help and represent you too. The variety of Courts in which Joseph T. Burke regularly appears is especially important in DUI cases as each court handles the prosecution of DUI cases uniquely. Therefore, it is imperative to retain an attorney who is experienced, respected, and familiar with the Court, such as Joseph T. Burke. His experience combined with his passion in defending clients, communicating with the client as to what they can expect and of going the extra distance for his clients is unmatched. In March of 2015, Joseph T. Burke was appointed part-time Magistrate in the Rocky River Municipal Court serving under Judge Brian F. Hagan. His responsibilities include overseeing the criminal and traffic docket. The Rocky River Municipal Court serves the following cities and villages: Bay Village, Westlake, Rocky River, North Olmsted, Fairview Park and portions of the Cuyahoga County Metroparks. Cleveland State University with a M.B.A. In 1999, Joseph T. Burke started his own law practice and gained invaluable training serving as General Counsel to a transportation company and was associated with two law firms; one concentrating in personal injury and the other maintaining a general civil practice. In March of 2015, appointed Criminal and Traffic Magistrate in the Rocky River Municipal Court serving under Judge Brian F. Hagan. 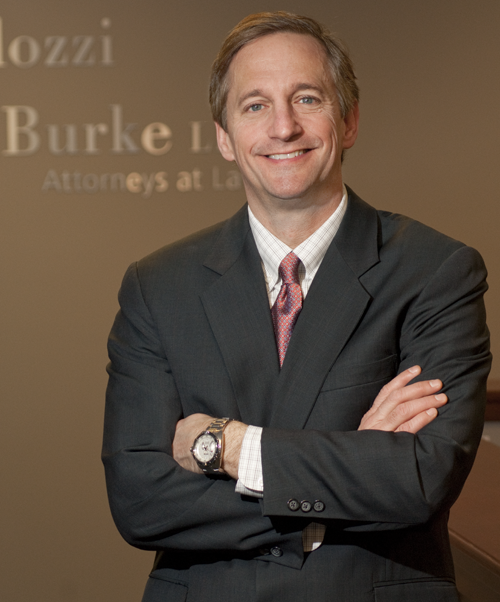 In 2011, Joseph T. Burke proudly became a partner in the firm of Polito Paulozzi Rodstrom & Burke LLP. The partners have a combined total of over 100 years of legal experience and the firm has quickly grow to become a full service law firm serving clients in Cuyahoga, Lorain, Medina and all contiguous counties throughout Ohio. With so much experience and wide array of practice areas within the firm, clients have no reason to go anywhere else. Call us today at 440 895-1234.